Dusty Springfield was an English singer, musician and record producer who is often considered as the finest white female soul singer in history. Her distinctive sultry vocals and sensual, charismatic stage presence made her one of the most successful British singers and a dominant figure in popular music for more than four decades. With six top 20 singles on the US Billboard Hot 100 and sixteen on the UK Singles Chart, Springfield was also one the best-selling female singers in history. Born “Mary Isobel Catherine Bernadette O’Brien” in West Hampstead, North London in 1939, she was raised in British India. Her father, Gerard Anthony O’Brien, was a tax accountant for the British Raj. Sprigfield later relocated to High Wycombe, Buckinghamshire and attended St Anne’s Convent School in Northfields. A sports enthusiast, she was nicknamed “Dusty” for playing football. Springfield developed an early interest in music and became an ardent fan of American jazz music while still in her teens. Dusty Springfield rose to prominence in the early 1960s with her brother Tom in the British country-music trio, the Springfields. She embarked on a solo career and released her first solo single, “I Only Want to Be with You”, in 1963. With her distinctive sensual sound and charming looks, Springfield became an integral part of the Swinging London and established herself as one of the important blue-eyed soul singers of her generation. By adding a delicate touch of uncertainty to her cover versions of Burt Bacharach and Hal David classics, Springfield scored sixteen top 20 hits on the United Kingdom Singles Chart from 1963 to 1989. Her most successful commercial to date was the 1966 ballad “You Don’t Have to Say You Love Me”, which reached number four on the US and number one on the UK charts. Springfield demonstrated more maturity, depth and authenticity as a soul performer into the late 1960s. 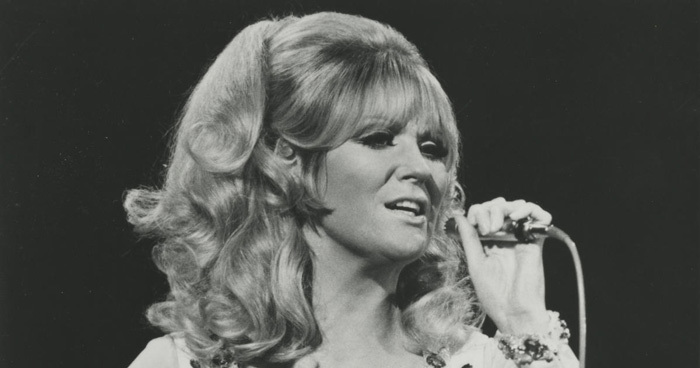 After signing with Atlantic Records in 1969, she recorded Dusty in Memphis (1969) at the American Sound Studio with producers Jerry Wexler, Tom Dowd, and Arif Mardin. The album spawned an international hit, “Son of a Preacher Man”, but her career went into eclipse due to her drug and alcohol problems. After a number of failed comeback attempts, Springfield enjoyed a brief career resurgence by teaming up with the Pet Shop Boys in 1987 on “What Have I Done to Deserve This?” (a number two hit in the UK and US), and the soundtrack for 1989 drama film, Scandal. After resettling in England, she died in 1999 after a long battle against cancer, aged 59. Her funeral service was attended by well-known celebrities such as Elvis Costello, Lulu, and Pet Shop Boys and hundreds of fans from all over the world. Dusty Springfield earned numerous awards and accolades in her career. An inductee of both the US Rock and Roll Hall of Fame (1999) and the UK Music Hall of Fame (2006), she received the Grammy Hall of Fame award in 2000. There was a lot of media speculation about the sexual orientation of Dusty Springfield in her heyday. Springfield was involved in romantic relationships with fellow singer Norma Tanega and American actress Teda Bracci.